Do you like the Internet? Like how you can search anywhere you want for any information or viewpoint? Like how you can post your information and opinions? Take action now, or you could have your Internet as you know it today pulled out from under you. Keep the Internet open for the people---we don't need to have everything run by the ISP cartel of ATT, Verizon, Comcast and Time Warner. 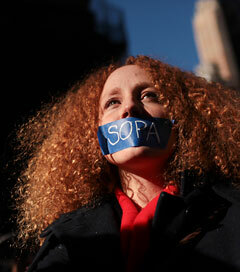 The Internet is the last level playing field. It is democracy's last stand. It is our greatest driver of innovation, creativity and economic growth---as well as our best and most open source of information. Many bills are in Congress by corporate stooges, such as Marsha Blackburn, to let corporations take over the Internet with only Wall Street greed as its guide. With corporate takeover and privatization of the Internet---and no government watchdog for the public interest---how will the next Google get out of the garage or the next Facebook get out of the dorm room? U.S. taxpayers paid for and developed the Internet. We expect to keep it! Watch our little Internet jingle. MEMPHIS, Jan. 13, 2012--- The United States has "run far off the spectrum like a third-world country" and is being controlled by a "virtual senate of the wealthy," world-renowned author, intellectual and activist Noam Chomsky told an SRO crowd of about 900 students and members of the community Friday night at Rhodes College. Chomsky said the "Occupy movement will prove to be of historical significance. We have never seen anything quite like this. But, to be ultimately successful, it must engage the mass population like the civil rights and anti-Vietnam War movements---and not just with people sympathetic to it." 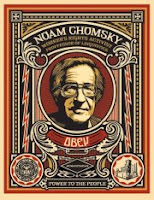 Chomsky's speech was advertised as focusing on Occupy Wall Street, but he also laid out broad, thought-provoking themes and epic forces for the audience, who frequently stood and cheered and many of whom came clutching one of Chomsky's more than 100 books. Chomsky was in town also to speak at the Mid-South Peace and Justice Center banquet on Saturday, and he spoke to the press at the National Civil Rights Museum at the Lorraine Motel on the Saturday before the Jan. 16 holiday to commemorate Dr. Martin Luther King Jr., who was assassinated in Memphis in 1968. Pass the Tennessee Scenic Vistas Protection Act---Call these Legislators! For years, many Tennesseans have been trying to get our legislature to pass a simple bill that would preserve part of our state's beauty and health, which are under attack from corporate privateers and the elected officials who represent them over residents of Tennessee. The Tennessee Scenic Vistas Protection Act is a straightforward bill that says mountaintop removal coal mining is prohibited for any elevations in Tennessee above 2,000 feet. The Republicans in control of the state Senate and House are poised again to kill this bill, which has been around the legislature with no luck for a few years now. This bill is so innocuous, so inoffensive that only narrow, corporate interests oppose it; contrary to how Republicans want to talk about "job killing," mountaintop strip mining actually requires very few employees to operate the equipment. To make this a jobs-vs.-environment argument is baseless. The State of Tennessee actually subsidizes the coal companies to the tune of more than $1 million a year, which far surpasses any economic impact of mountaintop removal and which should be cut off. From the few meager jobs that involve Tennessee residents working on mountain top peel-away, the economic benefit to the state is way less than the coal industry subsidy. Let's quit subsidizing an industry that is not a good, patriotic corporate citizen and that abuses the privilege they have been given in pursuit of only bottom line, and the public be damned. As if blowing up mountains, destroying habitat and making the state ugly were not enough, the worst human destruction in all of this is perpetrated upon people who live near these sites and their sludge pools of waste, and whose drinking water gets ruined and whose homes become uninhabitable and unsalable. The coal industry is losing market share to natural gas, and they are desperate to cherry-pick the cheapest, easiest way to get at coal deposits in order to regain a competitive foothold. This bill gives them a free pass up to 2,000 feet of rise above sea level---is 2,000 feet not enough for the coal companies? Tennessee has only a handful of ravaged mountaintops at this point; but, Tennessee has been targeted. The coal companies are poised to move in as they have in other states where blown-away mountaintops number in the hundreds. Tennesseans value the beauty of our state as do the visitors we attract. Our moral leaning to protect nature rises like the Appalachian range---dwarfing any rationale for scarring up our lands and lives. Tell them: "Pass the Tennessee Scenic Vistas Protection Act--This Time!"